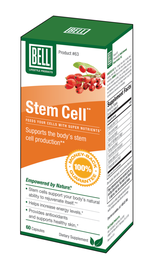 Categories: Antioxidants, Liver Support Brands: Life Extension. 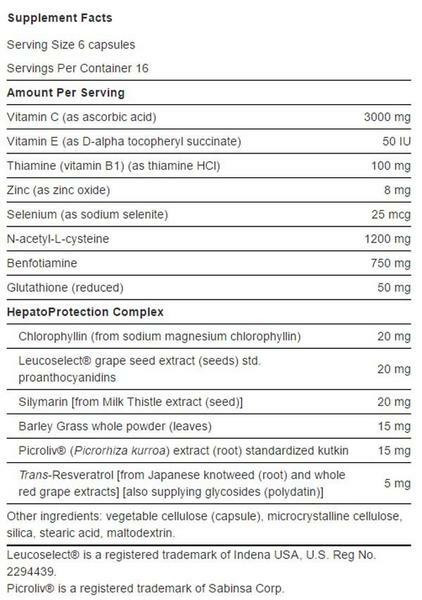 Anti-Alcohol Antioxidants with HepatoProtection Complex provides broad-spectrum nutrients designed to combat free radicals, neutralize alcohol metabolites such as acetaldehyde, and support healthy liver function. So you can partake if you like without paying a heavy price. 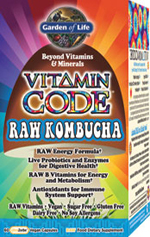 Alcohol-induced free radical assault can wreak havoc throughout the body. Anti-Alcohol Antioxidants with HepatoProtection Complex provides broad-spectrum nutrients designed to combat free radicals, neutralize alcohol metabolites such as acetaldehyde,3-6 and support healthy liver function. Chlorophyllin, an agent that protects the integrity of the DNA. Leucoselect® grapeseed extract, silymarin (from milk thistle), and trans-resveratrol, three hepatoprotective agents that aid in reducing compounds from potentially harmful xenobiotics and protecting cells from oxidative stress. Picroliv® Picrorhiza Kurroa root extract contains antioxidant kutkins that scavenge alcohol-induced excess free radicals and stimulate regeneration of cells (hepatocytes). 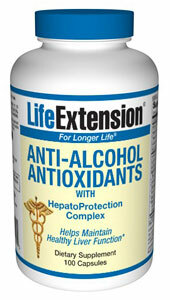 Promote healthy liver function with Anti-Alcohol Antioxidants with HepatoProtection Complex. 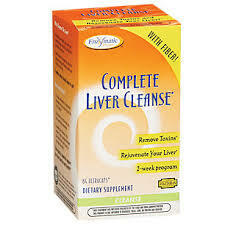 Take one (1) capsule with each alcoholic beverage, or as recommended by a healthcare practitioner. 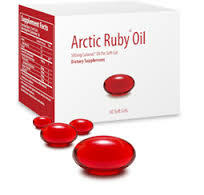 A maximum of six capsules per day. If no capsules are taken with alcoholic beverages, take six capsules at bedtime.